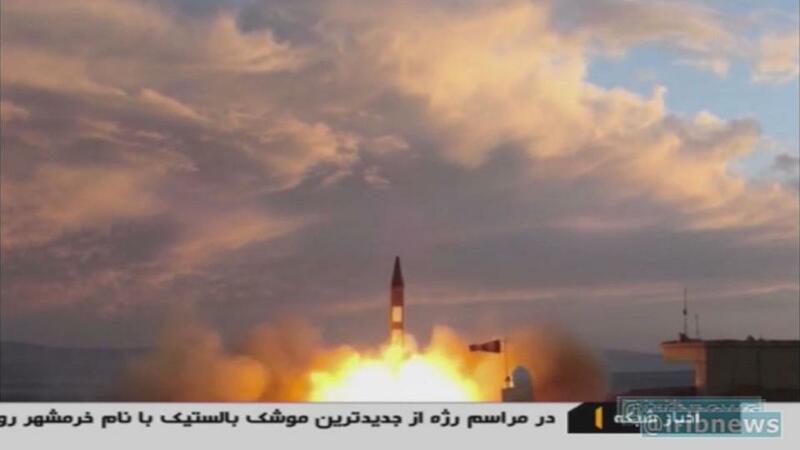 Iranian Republic Islamic Broadcasting (IRIB) shows a Khoramshahr missile being launched from an undisclosed location on Sept. 23, a day after the missile was first displayed at a high-profile military parade in Tehran. 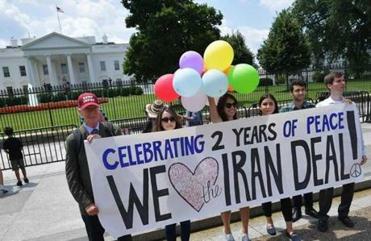 First, we would lose important restrictions on Iran’s nuclear activities. As a physicist involved with the US nuclear weapons program for decades, I know what it takes to build a nuclear bomb. As the principal negotiator of the final Iran deal nuclear provisions, I know that its 159 pages of unprecedented detailed requirements are a significant barrier to prevent Iran from building a nuclear weapon. Without the agreement, restrictions that effectively block every potential path to an Iranian bomb for more than a decade would vanish. We would lose stringent limits that have already reduced Iran’s stockpiles of enriched uranium by 98 percent, kept uranium enrichment at or below 3.67 percent, reduced the number of installed centrifuges by two-thirds and limited their technology. We also would lose prohibitions that keep Iran from producing significant amounts of plutonium, require all spent nuclear fuel to be sent out of the country, and prevent any kind of research or development that could contribute to a nuclear weapons program. When the agreement was finalized, some asked why we would agree to a “temporary agreement,” noting that not all the restrictions were permanent. The simple answer is that we didn’t. While some restrictions on enrichment and nuclear activities sunset between 2026 and 2031, the most important aspects of the agreement remain in perpetuity — a permanent prohibition on Iran having a nuclear weapon or a nuclear weapons program, and continuous comprehensive inspections. Under this agreement, we retain all options today and in the future to respond to any move by Iran to develop a nuclear weapon and have much better information to act on. Statements claiming that the agreement somehow automatically makes Iran a nuclear weapons state after 10 or 15 years are absurd. We’re about to see whether Trump applies his buck-stops-with-Congress approach to the Iran nuclear deal.